What is Regal Air’s cancelation policy? How early do I need to show up for my flight? What should I wear for Flightseeing, Bear Viewing, or Day Fishing? How do I get from my hotel to Regal Air? Will the flight be bumpy? Do you have a place to store luggage while we are on our Regal Air adventure? Is it a guarantee I will see bears on my bear viewing trip? How much luggage can I bring if I am traveling on a seat fare? Do any of your tours offer glacier landings? How close can we safely get to the bears? What do I do with my fish when I get back to Anchorage? Where can you take me for halibut fishing? How do I know if I need a fishing license? Q: What is Regal Air’s cancelation policy? A: Regal Air requires a deposit to hold a reservation. We consider the deposit non-refundable at the time of reservation; however, Regal Air will try to be flexible in the event of a cancellation. Cancellation with less than 2 weeks prior to the flight and the deposit is non-refundable. For flight seeing, bear viewing, and fishing trips, the deposit will be 100% of the tour cost. For a chartered airplane, the deposit needed to hold the reservation will be 50%. If you are not fairly certain that you will be able to attend your flight, Regal Air strongly recommends purchasing trip insurance. Q: How early do I need to show up for my flight? Q: What should I wear for Flightseeing, Bear Viewing, or Day Fishing? A: Flightseeing- A light jacket or sweatshirt. A: Flightseeing in the Winter- Hat, gloves, winter boots, and parka; the airplane does have a heater, but it still gets a little chilly sometimes. A: Bear Viewing – Layers starting with a waterproof shell, long pants, and good walking shoes with closed toes. A: Day Fishing- Layers starting with a waterproof shell, any special fishing gear you might want to bring, but don’t worry, if you have no gear the lodge has all the gear you will need, including waders. Q: How do I get from my hotel to Regal Air? Q: Will the flight be bumpy? A: there is a chance that you might encounter turbulence, and in the event that you might get air sick we provide sick sacks in the airplanes. A: If we decide the weather is not going to cooperate, we will then either try and work you in the schedule for the next day, or give you a full refund. Q: Do you have a place to store luggage while we are on our Regal Air adventure? A: We have a storage shed here at the office that is locked every night for customer use, also with limited freezer space for short term food storage. Q: Is it a guarantee I will see bears on my bear viewing trip? A: It is never a guarantee to see bears, they are wild animals, but we have about a 95% sighting rate, and have had sightings in upwards of 20 bear sightings. Q: How much luggage can I bring if I am traveling on a seat fare? A: Your are allowed up to 70 pounds of gear per person on a seat fare, anything more than 70 lbs is $.50 per pound. Q: Do any of your tours offer glacier landings? A: We do not offer glacier landings, but some of our tours land on the water that the glacier rests in. Q: How close can we safely get to the bears? A: You can usually get within 75 yards of the animals. Q: What do I do with my fish when I get back to Anchorage? A: There are a couple of fish and game processing plants here in Anchorage http://www.alaskasausage.com/ and http://www.trapperscreek.com/ this is a good way to make sure your fish is being taken care of, and will be nice and frozen when it gets to your home. The price will range from $1.70 per pound to $7.00 per pound, depending on how you would like it processed. Q: Where can you take me for halibut fishing? 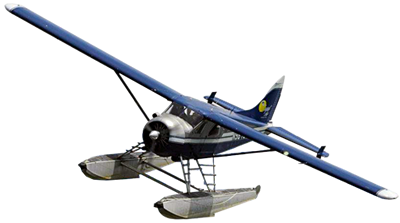 A: We can fly you to Seward, Whittier, Homer, or several different lodges in Prince William Sound. Q: How do I know if I need a fishing license? A: While tipping is certainly not mandatory, it sure is appreciated! The Industry standard for gratuity is usually in the range of 5 to 15 percent.